Excellent condition both inside and out as it has been very well looked after. Completely redecorated etc throughout to a very high standard. This includes fully repainting, and stylish new wallpaper in every room. Also quality carpets and flooring have been professionaly fitted in every room. 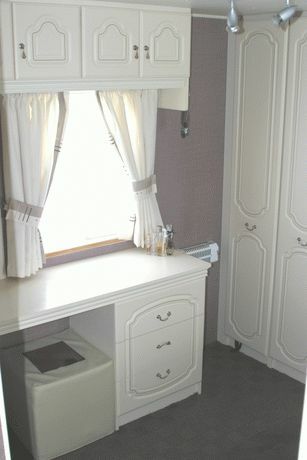 Tasteful and attractive new blinds and curtains have also been extensively fitted. Multiple extra mains sockets installed in every room. Every lighting fitting upgraded, and extra lighting installed, all very contemporary. Even though it was already in very good condition, in the last year more than ?3000 has been spent upgrading it to a higher specification etc. 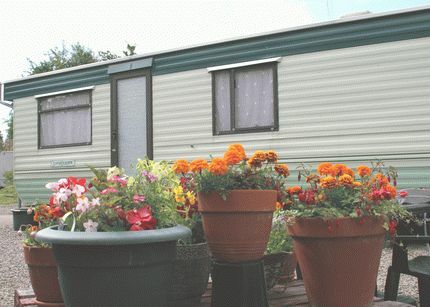 A very modern and extremely clean/cosy/comfortable and pleasant space to live/work in and/or holiday etc. Can\'t imagine anyone needing to spend an extra penny on it, as it\'s been lovingly taken care of from day one, and also renewed with taste and style. Large lounge with plenty of seating for at least 8 people, plus plenty of room for a large dining table. Superb looking units, Dedicated television corner, with high gain low noise aerial amplifier directly attatched to the high spec ghosting free wideband aerial. 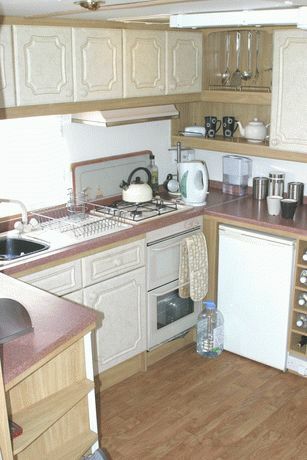 Seperate fully equipped kitchen with 4 ring gas hob, and cooker/grill. Electric full size fridge and also a seperate full size freezer. 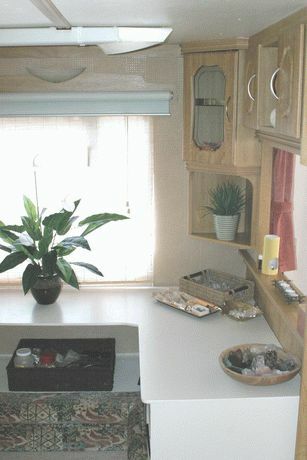 Lots of cupboard space. Very efficient mains extractor installed above hob, with variable speed. Computer/work etc area specially coverted and built, with lots of space underneath the units, and also under the connected adjoining side seating area. An air extraction system has been installed, which draws air out from both the lounge and computer areas. Bathroom/toilet with shower and hand basin, very nicely decorated. 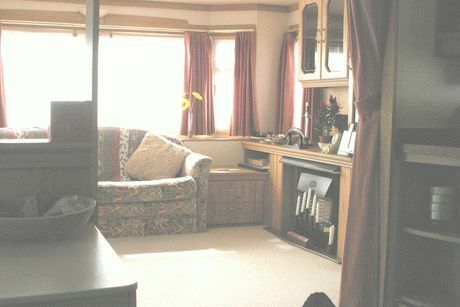 2 bedrooms both with with superb styled fitted wardrobes. Master bedroom with queen size bed, and large vanity area with plenty of space in the units above and below. Second bedroom has a single bed with units above and to the side, plus a fitted wardrobe. Sleeps 2 kids easily, or one adult. Gas Water Heater, Gas Fire, Gas hob and Cooker, Electric full size Fridge and Freezer : 240v Electrics. Plus it also has a standby mains power supply, 24 volts DC-AC 240 volts 2000W inverter that has been specially installed. This automatically switches over from standby to provide power throughout, should the mains fail during power cuts etc. Smoke detector fitted. Extra low energy electric heating has been installed in both bedrooms, kitchen and the entance hallway. All switched and with thermostatic control. A mixture of low energy lights, and some low wattage downlighters, including a infrared motion senser light outside the main door. Very effective underfloor insulation, and all water pipes are fully lagged. Gutters, and downpipes to all four corners. Available for immediate viewing by appointment ONLY, and located on private land in Wetherby, West Yorks.